Tibet is a mysterious and holy land which attracts a great number of travelers. It’s usually connected to the meaningful Buddhism and the unique spiritual culture. There are seven kinds of talismans prevalent in this land. Each of them is said to be a blessing from the Gods in local Tibetans. This is a kind of special beads only founded in Tibet, India, Nepal and some countries in West Asia. With an appearance of weird eyes, dZi is the most valuable one in the top 7 treasures in Tibetan culture. 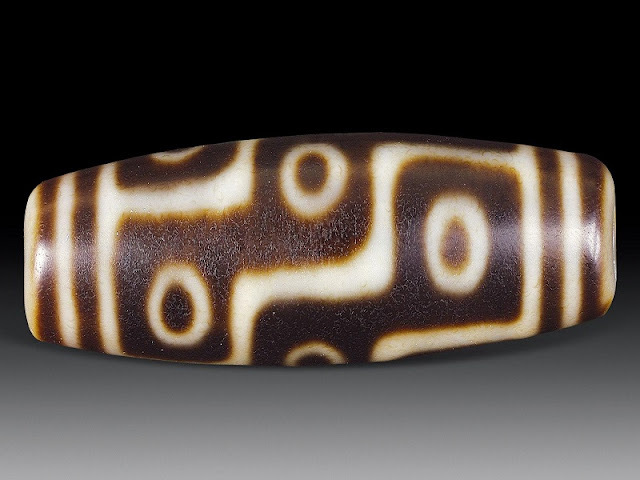 The ancestors of this area believe that the dZi is a gift from Gods and a supernatural pearl fallen from heaven. There are different opinions on the origin of dZi. Someone think that those beads are fossils, while some others consider them as artificiality of meteorites. It’s said that the dZi contains mysterious energy and it can only be found by those who are greatly blessed by Buddha. The dZi have a great magnetic field, it has a good effect on our mental aura and helps us achieve perfection in our life. Thokcha means iron meteorites in Tibetan. It differs from the common iron as it had been partly melted with a temperature of more than 2,000 degrees centigrade when moving through the atmosphere. Thokcha is called the iron from heaven in Tibetan Tantra. It’s usually made into magic weapons like Vajra and Phurpa due to its powerful energy inside. As a special material for accessories, the iron meteorites can enhance the effect of talismans to drive away evil and bad lucks. Also, it’s used to pray and practice meditation. As a kind of box where a statue of the Buddha lies in, ga'u is usually made of gold, silver or copper. Generally, the box is set with agate and turquoise, with various of propitious pattern carved on the surface. It’s common for the Tibetans to hang the talismans around their necks to pray for blessing from Deity and the elimination of karma. 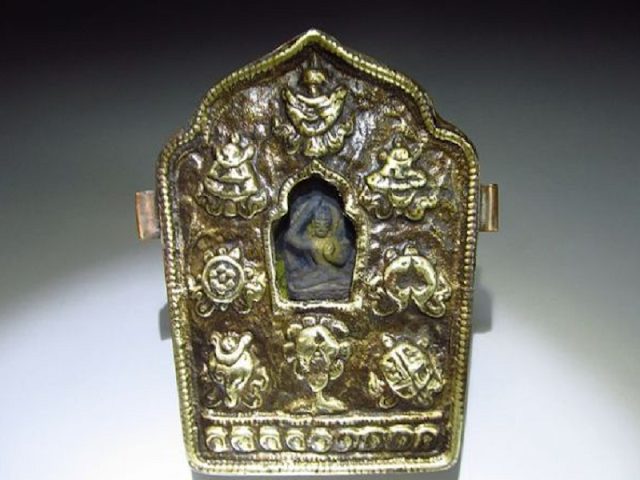 Tibetan Buddhists would take this small holy land of Buddha off and worship it when they practice Buddhism. According to legend, in order to salvage all the beings from the suffering caused by space and position, Guru Rinpoche who is the founder of Tibetan Buddhism created a medal with a mixture of elements of India, Tibet, and China. 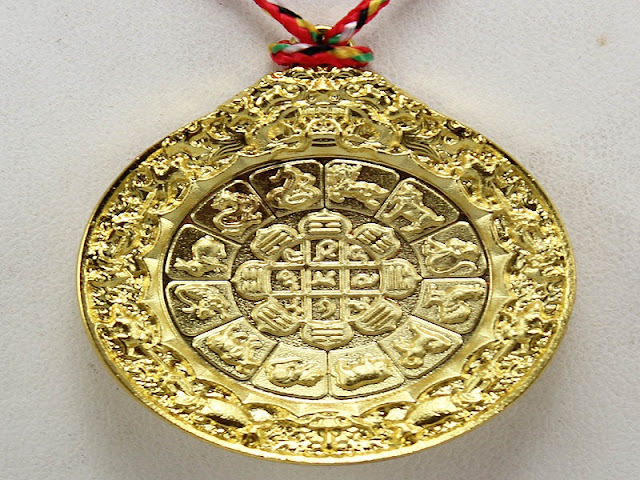 The local Tibetans hang this medal in their house or carry it with them to pray for good luck. As a symbol of heaven, water, and air, turquoise is indispensable to Tibetans. It’s usually fixed on knife, hat, and clothes as holy decoration in Tibetan tradition. 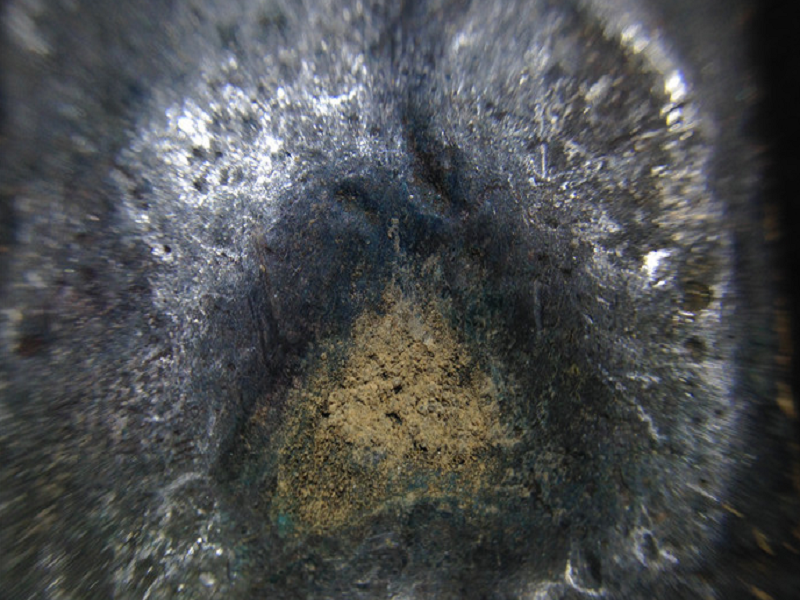 The locals believe that this blessed stone is an incarnation of God. 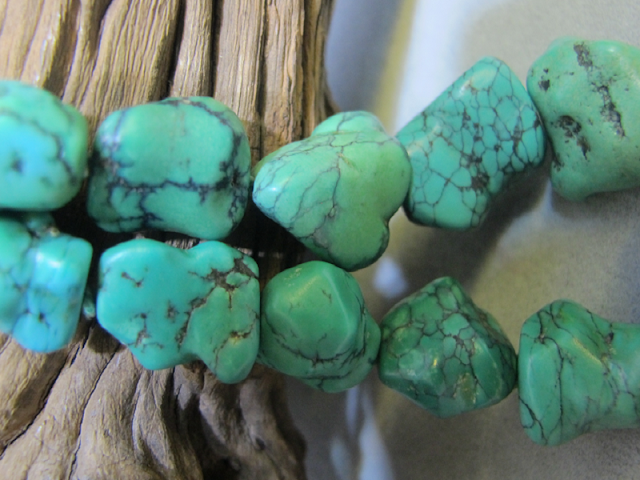 It’s said that turquoise can bring luck and wealth to its keeper. 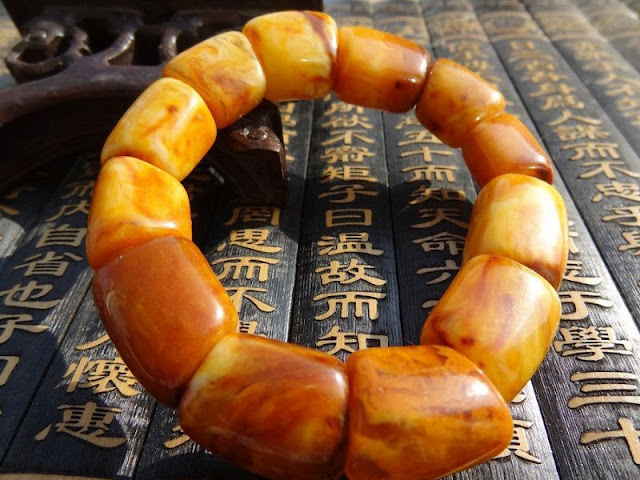 As a sort of valuable jewelry and lucky charm in the world, Amber is very popular in Tibet. Also, it’s a fantastic tool which can lead the yogis into a higher state of consciousness and help them communicate with the real being. Red Coral is very valuable because it can be only founded in Taiwan Strait, Straits of Japan, and the Baltic Strait. 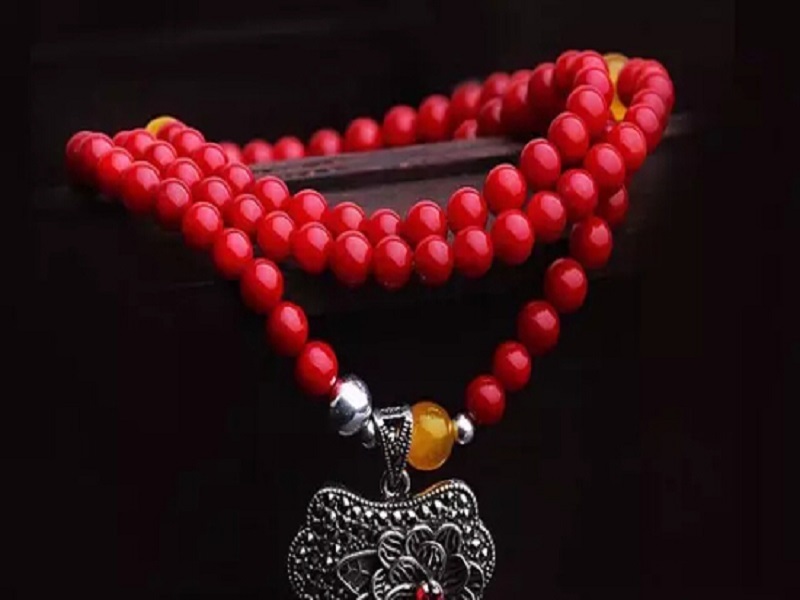 Red Coral is emblematic of happiness and eternity. The Tibetans regard it as an amulet blessed by God. Today if You on a Tibet travel, you can notice that most of the eminent monks there carry prayer beads made of Red Coral with them.